A Cal Fire patch. Courtesy FEMAThe San Diego County Board of Supervisors accepted $164,500 in grants Tuesday that will fund the installation of 70 mobile data computers on Cal Fire back-country firefighting rigs. 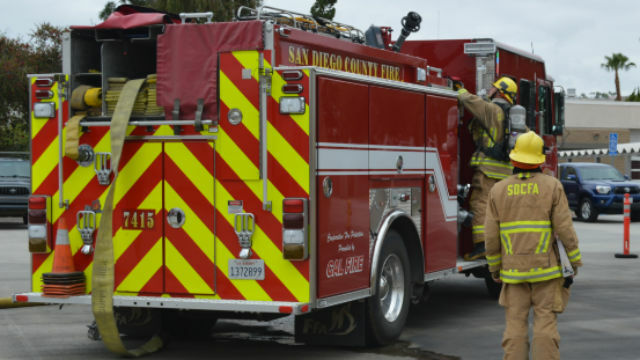 San Diego Gas & Electric will provide the $131,600 and $32,000 grants to the San Diego Fire-Rescue Foundation and San Diego Regional Fire Foundation, respectively. The computers will improve first-responder communication and awareness during wildfires and other natural disasters, Cal Fire San Diego Chief Tony Mecham said. Mobile data computers allow firefighters to access navigation, display preliminary plans, identify potential hazards and communicate with dispatchers in real time during an emergency. The technology is a far cry from the old days, SDG&E President Scott Drury said.